Place the butter, sugar and salt into a bowl, mix using the whisk on a hand mixer, stir in the eggs and vanilla seeds, continue to mix until the mixture turns a paler colour. Mix the flour, almonds and baking powder, stir into the mixture along with the strawberries. Spoon the mix into the prepared tin. Approx. 20 mins. in the lower half of an oven preheated to 180°C. 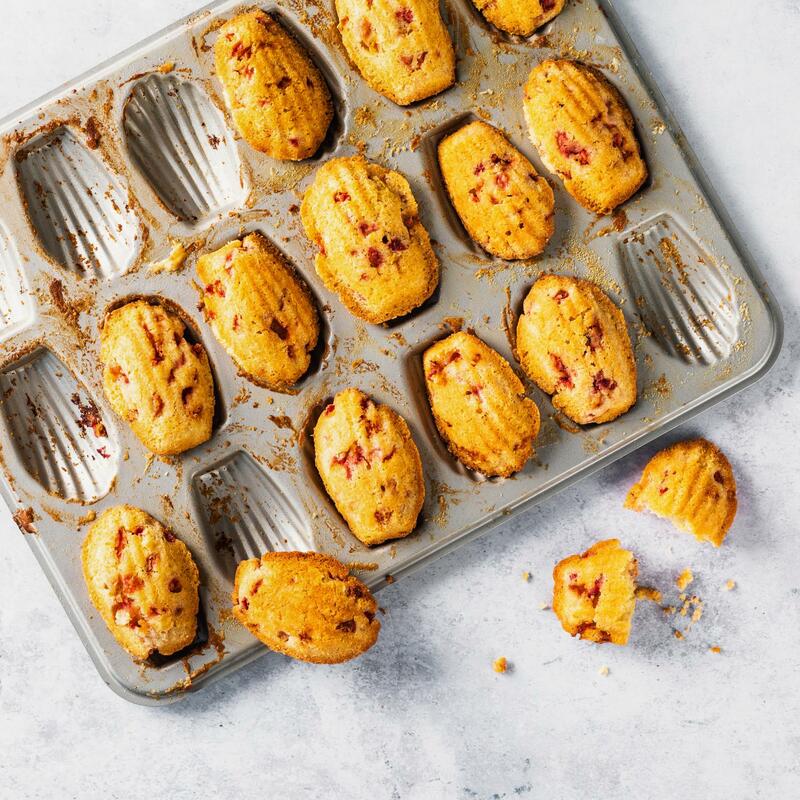 Take the madeleines out of the oven, allow to cool a little, remove from the tin and leave to cool on a rack. Use fresh, diced strawberries instead of frozen ones.